The German Children’s Cancer Foundation is committed to the improvement of the situation of children with cancer, adolescents and young adults. 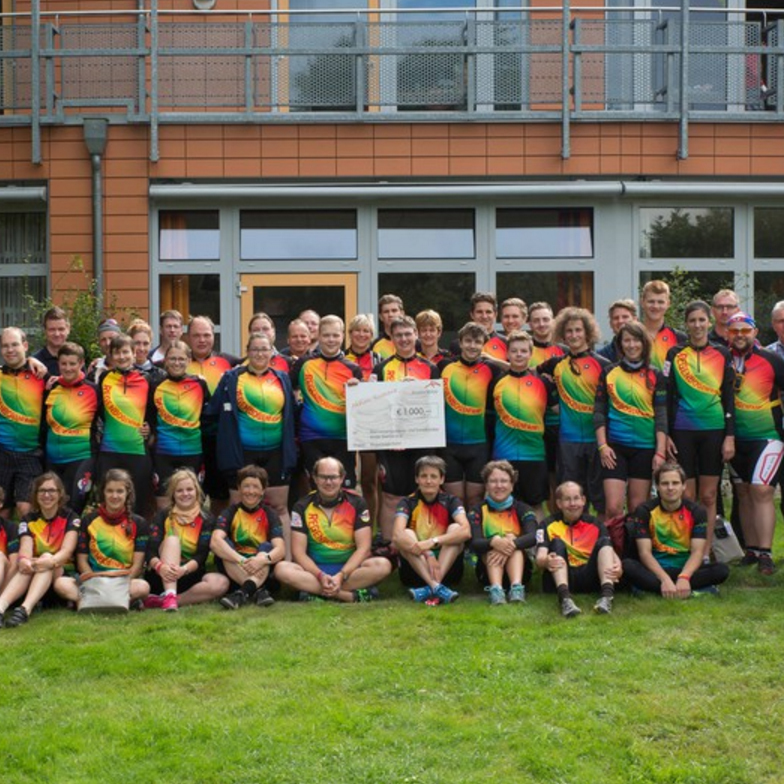 An important part of the care offer for young adults is the annual cycle tour “Regenbogenfahrt”, organized since 1993 in cooperation with a group of affected persons. To be active, to encourage other cancer patients, to take things into their own hands and to show the public that a cancer in the childhood and adolescence age is surmountable, is the intention of the rainbow ride and its participants. At the end of August, the young people set off on their journey, visiting the clinics and parent groups for children with cancer and cancer. They want to give themThe German Children ‘s Cancer Foundation supports the organization of the tour and provides the Necessary resources.Die Deutsche Kinderkrebsstiftung unterstützt die Organisation der Tour und stellt die notwendigen Mittel bereit.